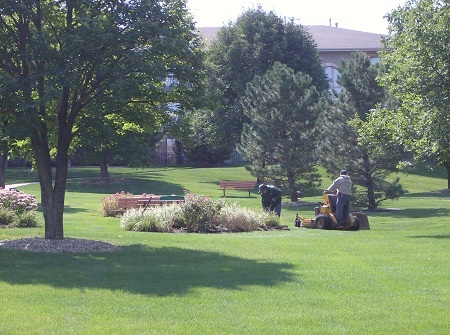 One of Suburban Landscapings most applauded expertise comes in our award winning multi-family landscape maintenance. Multi Family properties are slightly different from other large commercial or residential type properties, mainly because there are more owners with different needs and ideas, and they usually have a common ground that all families living in the association share. Another major difference is the controlling body of the property, usually a Board of Directors or Landscape Committee. These groups are made up of volunteer residents from the property and they are the deciding factor in how the property will look. Often these groups are guided by a Property manager, who may or may not be on site. Our customized programs and payment plans are tailored to the horticultural and budget needs of these unique types of properties. Our specialized crews are equipped with the proper type of equipment and trained in the techniques necessary to maintain all aspects of multi-family properties. Our managers are also trained in providing the highest quality service to these properties. From working with management companies and Board members, to customized by-laws and village regulations. Comprising the largest section of our customer list, multi-family properties gain an exceptional advantage having the expertise of Suburban Landscaping maintain their lawn & landscape. Suburban Landscapings managers attend many Board of Directors meetings per month. Often Boards request our presence at their meetings to discuss new plantings, drainage solutions, state of the property, and for future planing and budgeting. We are always happy to work with the Board of any property in any way that is needed. Our managers are on our Multi-Family properties every week. 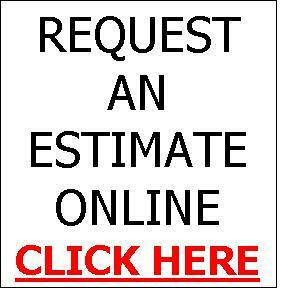 Whether checking crew production, quality control, or measuring for a requested estimate from the Board. We also conduct routine inspections of the property for disease and insect infestations as well as for drainage and shrub/tree care. We always welcome Board members to join us on our walkthroughs to see the state of their property first hand. Often, we walk through our properties with the Property Manager, discussing concerns or new plans for the property. Since 1984, we have worked with most of the major property management companies in the Chicago Southland. We view property managers as our ally in our efforts to improve the conditions of our Multi-Family properties and as valuable assets in accomplishing that goal. Usually as the conduit between residents and contractors, property managers often aid in our efforts by notifying us of special events residents may have, or in other projects or construction that may be occurring. These details help greatly in our scheduling and performance while on the property. Landscaping is usually the biggest annual cost of most Multi-Family associations. Between landscape maintenance, enhancements, and snow plowing, landscaping usually accounts for more than 50% of most association budgets. Keeping this in mind, we try and earn your trust and provide the results you look for in everything we do. Some of the major things we do are condensed below. Snow Plowing: Multi-family properties don't shut down for the night and they don't take weekends off. When snowfall occurs, there is no down-time that they don't need service. At Suburban Landscaping we recognize these facts and know what these types of properties need. Having decades of experience in Multi-Family snowplowing, we will be there for your association when you need us. Lawn Maintenance: As the biggest part of our service, lawn maintenance has become our forte. Experts in Multi-Family lawn maintenance, we know exactly how to provide the professional service, premier quality, and knowledgeable advise you expect from your landscape service provider. With our trained crews and on-site supervision, we monitor your landscape so you don't have to. Enhancements: Most associations budget annually for repairs and enhancements to their property. From shrub replacements to tree care, and from drainage issues to mulching beds, every enhancement makes a difference to the residents at a Multi-Family association. We are please to help in establishing, advising, and estimating for your budget and the projects you need to accomplish with it. Whether planning for this years enhancements or next years, we are able to help prioritize and analyse your horticultural needs.